Nowadays, home is a word with an increasingly flexible definition. It means Wilmette, whose geography is etched into my nervous system, and Chicago, where I’ve always loved getting lost. It means Los Angeles, where a gaggle of family (and might-as-well-be-family) members have settled. And home now means Virginia, whether we’re talking about my current town (Falls Church, where I’ve learned the best place to get pho), or Richmond, where my boyfriend hails from. When he and his sisters are lucky enough to return, Richmond is where they all settle in comfortably for family dinners and board games. And when I’m lucky enough to visit, it’s lovely to settle into their routine for a few days too. Last weekend found me in Richmond, breathing in some particularly humid summer air. 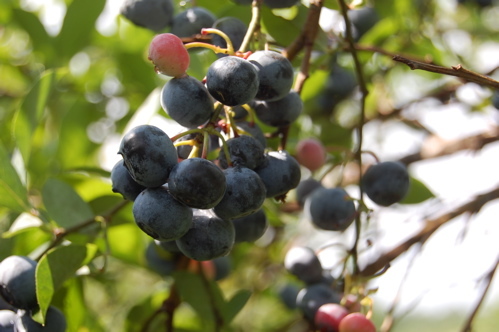 To start the trip on the right foot, we visited a pick-your-own blueberry patch, spent an hour under the face-melting Southern sun plunking berries into our pails, and left with twelve pounds of them. Somewhere in process, another few pounds made their way into our bellies. One minor fruit coma later, I scraped myself off the carpet and ventured downtown to get my mind off blueberries. And after having a slice of Bottoms Up pizza for lunch, I’d completely forgotten about them. Each made-to-order piece is approximately the size of a football, with a thick, foccacia-like crust and piled high with inventive topping combinations. I admitted defeat on my lunch about halfway through, but the hour spent in the restaurant’s air conditioning gave me the strength to face Richmond’s heat and humidity once more. 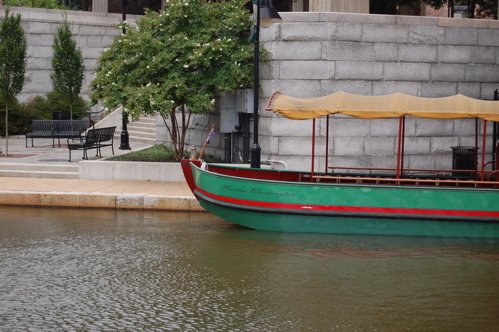 Just a few blocks from Bottoms Up, River District Canal Cruises runs tours of the centuries-old canal system. We all boarded a little covered boat for (get this!) $5 each. 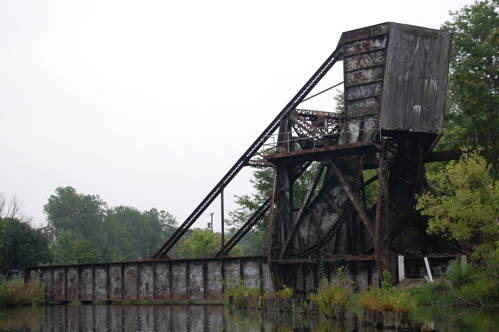 By the time we pulled back to dock, I knew infinitely more about early American trading and transportation, as well as the geography of Richmond’s neighborhoods. 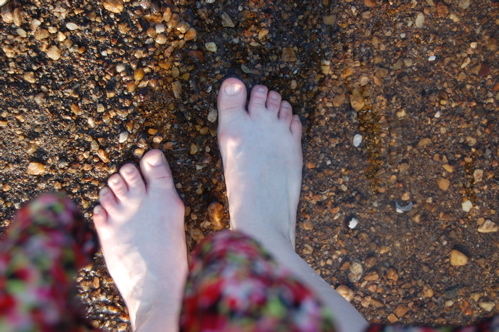 And I’d seen the James River from eye level, to boot. I didn’t want to leave town without seeing the Louis Comfort Tiffany exhibit at the Virginia Museum of Fine Art. Tiffany, whose father founded Tiffany & Co., was an interior designer famous for his stained glass creations. There’s nothing more down-to-earth than browsing an assortment of cleverly-designed lamps and full-on cathedral windows in an art museum, rather than the typical rooms full of paintings and sculptures. It was also a museum experience that kept on giving. Tiffany was commissioned to create a large number of stained-glass windows in Virginia, and on their website, the VMFA has generously shared itineraries for Tiffany-centered driving tours through different regions of the state. 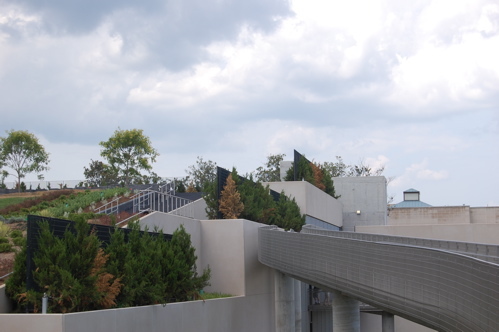 (Conveniently, they’ve got downloadable audio selections to accompany the sights.) To extinguish post-exhibit hunger, lunch at nearby Can Can Brasserie did the trick; I sipped iced hot chocolate, then tempered the cold with straight-from-the-oven gougères. The downside of heading to Richmond from D.C. is the traffic you encounter heading there and back, on the godforsaken stretch of road called I-95. Halfway to losing my mind, the car was stalled on a bridge in Fredericksburg when a stroke of luck hit. 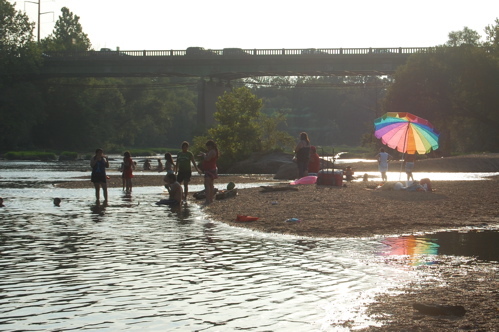 Over the railing, I glimpsed a gentle section of the Rappahannock River, as well as the dozens of “beachgoers” who’d set up shop there. Turning off the highway, we kicked off our shoes and waded in the warm water until we forgot all about the Monday that lay ahead.